The saying “knowledge is power” has never been more relevant, thanks to the widespread commercial use of big data and data analytics. This trend has been brought about by the new demands of the modern marketplace, and it’s here to stay. The rate at which data is generated has increased exponentially in the recent years. To put this into perspective, 40,000 search queries are performed per second via Google alone – this equates to 3.46 million searches per day and 1.2 trillion each year. Companies, both big and small, are seeking the best ways to leverage their data into a competitive advantage. With that in mind, we have prepared a list of top 15 definitive data analytics and big data books, along with magazines and authentic readers’ reviews upvoted by the Goodreads community. Whether you are a complete novice or a seasoned business intelligence professional, you will find here some books on data analytics that will help you cultivate your understanding of this essential field. And with that understanding, you’ll be able to tap into the potential of data analytics to create strategic advantages, exploit your metrics to shape them into stunning business dashboards, and identify new business opportunities or at least participate in the process. Exclusive Bonus Content: Not Sure Which Big Data Book To Read? Download our summarized, free guide on top 15 best books on big data! Before we delve any deeper, here are three big data analytics insights to put its relevance and importance into perspective. In a mere five years from now, the number of smart connected devices on the planet will be more than 50 billion – all of which will generate data that can be shared, collected, and analyzed. The White House has invested an incredible $200 million in big data projects – a true testament to the growing importance and relevance of big data analytics across sectors. As of this moment, just 5% of all accessible data is analyzed and used – just think of the potential. 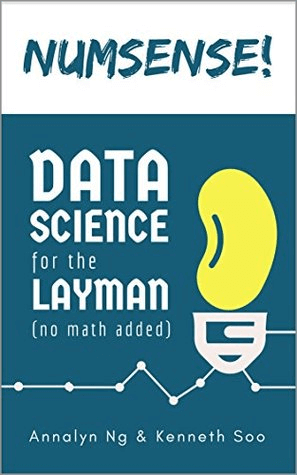 If we had to pick one book for an absolute newbie to the field of Data Science to read, it would be this one. Updated for 2018, “Bussiness Intelligence and Data Mining Made Accessible” is inarguably the best book there is on data analytics, and does exactly what its name implies: it explains data analytics in an easy way, and makes it understandable and digestible for the uninitiated. Due to its scope of content and clear explanation, “Data Analytics Made Accessible” has been made a college textbook for many universities in the US and worldwide. The author, Anil Maheshwari, Ph.D., has both practical and intellectual knowledge of data analytics; he worked in data science at IBM for 9 years before becoming a professor. The book also has some “crowdsourced” material, as the 2017 edition had 4 chapters added based on feedback from reviewers and readers. At 156 pages on Kindle, this is a book you could finish in one (long) sitting if you were so inclined, and that you can also use as an inspiration when you work on your business intelligence strategy. We have included predictive analytics in our list of the most prominent business intelligence trends, as it has been widely recognized as the strategy that makes it possible to unleash the power of big data. From a business perspective, predictive analytics is used to analyze current data and historical facts in order to better understand customers, products, and competitors and to identify potential risks and opportunities for a company. However, due to its vast application, predictive analytics should not concern only business professionals. Most people are aware that companies collect our GPS locale, text messages, credit card purchases, social media posts, Google search history etc., and this book will give you an insight into their data collecting procedures and the reasons behind them. Eric Siegel’s data analytics book is an eye-opening read for anyone who wants to learn what predictive analytics is, and how predictive analytics can be deployed across a wide range of disciplines. It is not a manual, so a data scientist looking for instructions would be disappointed. Although there is some discussion of algorithms including linear regression or decision trees, it’s easy to understand even for a layman. 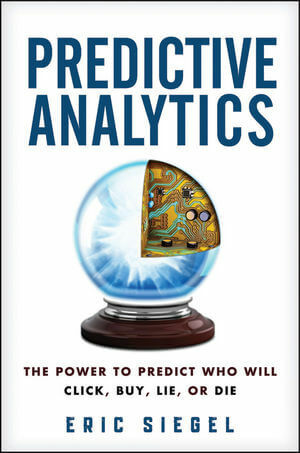 Siegel’s book makes it clear that predictive analytics is not a sneaky procedure used by companies to sell more, but a significant leap in technology which, by predicting human behavior, can help combat financial risk, improve health care, reduce spam, toughen crime-fighting, and yes, boost sales. It was lately revised and updated in January 2016. 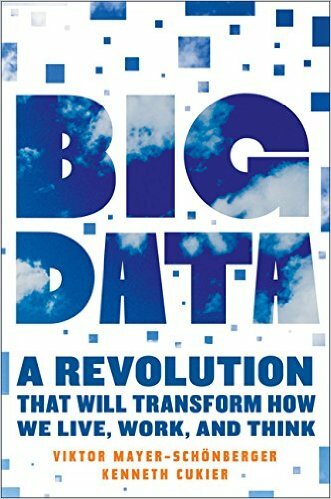 There are two types of people who should read this book: people who don’t believe in the merits of big data and predictive analytics, and people who are so interested in these topics that they love learning about the current use cases of these technologies and this is what makes it one of the best big data books. The author, Phil Simon, being a speaker who has made keynotes at EA, Cisco, Zappos, and Netflix, is an expert at making technical information simple. Simon makes the case that big data is not only an area of potential innovation- it’s a crucial factor that your company must address now to survive in the modern marketplace. His argument contains urgency and clarity, centering around this point: big data is no fad. It’s a huge change in how business is conducted, and it’s already happening. 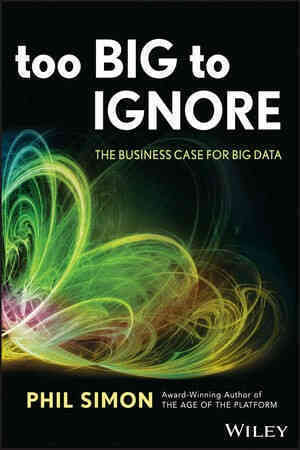 Remarkably free of jargon and filled with case studies and examples, “Too Big To ignore” is an excellent introduction to big data, as seen through the lens of: what can big data do for me and my business? Eric Reis started a global movement by releasing the book “The Lean Startup”. The philosophy of the book revolved around getting feedback from customers as quickly as possible and iterating rapidly based on that feedback. 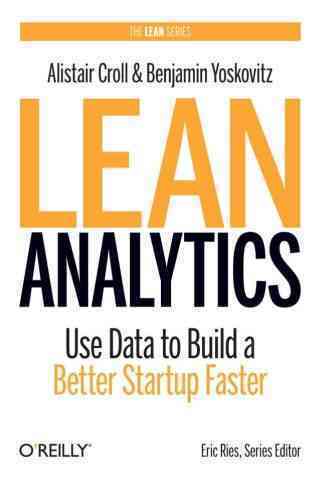 It was only a matter of time before the “lean philosophy” was applied to data analytics. The biggest risk your company faces is investing a lot of time and resources into building something that the market doesn’t want. Product/market fit is THE most important factor to get right. By using the right analytics metrics, you can determine which products or services to focus on or build – and how to market them. In today’s world, every company faces the potential to be disrupted. It’s up to you: do you want to disrupt your own company from the inside by being an intrapreneur, or are you going to let someone else disrupt you in the market? Reading this book will give you the toolkit you need to make sure the former happens and not the latter. 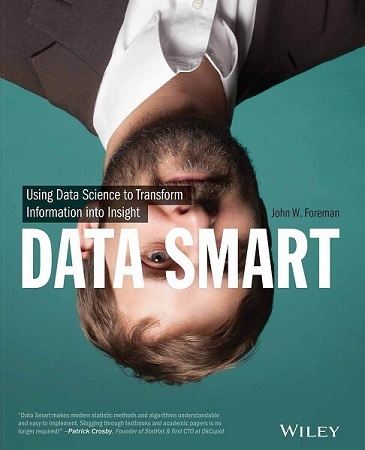 ‘Data Smart’ contains concrete hints on which analytic techniques to apply to effectively crunch data. It’s a useful read for anyone with a little background in applied mathematics and a spreadsheet program on their PC. It is a well thought out and designed tutorial with many easy-to-understand real world examples for a business professional who must work with data sets. Each chapter covers a different technique in a spreadsheet, including nonlinear programming and genetic algorithms, clustering, graph modularity, data mining in graphs, supervised AI through logistic regression, ensemble models, forecasting, seasonal adjustments, and prediction intervals through Monte Carlo simulation as well as moving from spreadsheets into the R programming language. ‘Data Smart’ contains enough practical information to actually start performing analyses by using good old Microsoft Excel. Its goal isn’t to revolutionize your business with additional software, but rather to make incremental improvements to processes with accessible analytic techniques. However, once you start working with larger enterprise level data sets with millions of rows and hundreds of columns of information, Excel may not be capable of handling such volumes. At this point, turning to self-service business intelligence would be the most affordable and effective solution. This is another big data book that provides readers with a more general view on key issues around Big Data, with the authors offering their opinions and insights on how the technology will proceed. This would be a perfect read for people new to the subject who want to understand in what way big data can be leveraged to improve people’s life quality – from identifying consumers’ shopping patterns to predicting flu outbreaks. The book also sheds light on how big data’s key characteristics (volume, variety, velocity, and veracity) will change the way we process and manage data. It mentions the completeness of data (as opposed to sampling), the power to quantify and digitize new formats of information that were previously inaccessible, as well as the ability to use new databases (like Hadoop and NoSQL) and statistical tools (machine learning and data mining) to describe huge quantities of data. Exclusive Bonus Content: Not Sure Which Data Analytics Book To Read? Download our free guide on top 15 best books on data analytics! This book is most useful for someone who lives and breathes BI – and who is ready to critically look at their ideas surrounding the field. In this at-times contrarian and unflinching book, Dr. Barry Devlin shows how modern BI often fails to deal with data from mobile, social media, and the Internet of Things in a meaningful way. Devlin also makes the argument that modern business decisions must be made from a combination of data-driven (rational) and emotional (intuitive) sources, as opposed to only using data – and that business intelligence must reflect those needs. 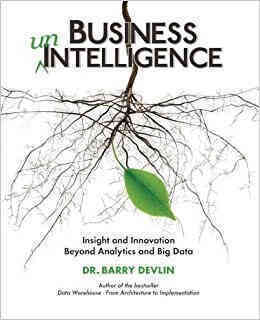 The book additionally serves as a history of the field of business intelligence, big data, and data analytics, as Devlin details the past, present, and future of the field. He does so in order to challenge many of the assumptions in modern data analytics and data gathering, by showing how quickly the old best practices have become outdated due to the sheer volume and velocity of modern data sources. If you’re ready to be challenged to think differently, “Business unIntelligence” is amongst the best data analytics books to do so. With tips on how to develop a strategy and a plan of action regarding big data, what technology you need to embrace it and how to hire the right kinds of people to crunch big data, this book is clearly manager-oriented. It also offers an overview of big data technologies, explains what is needed to succeed with big data, and gives examples of both successful and failed data practices undertaken by startups, online firms, and large companies. The author also introduces the concept of “analytics 3.0” to describe how companies can combine traditional analytics with the big data approach. He recognizes big online companies like Google or Facebook as the originators of best big data tools and technologies, as well as data-driven management reporting and best practices. 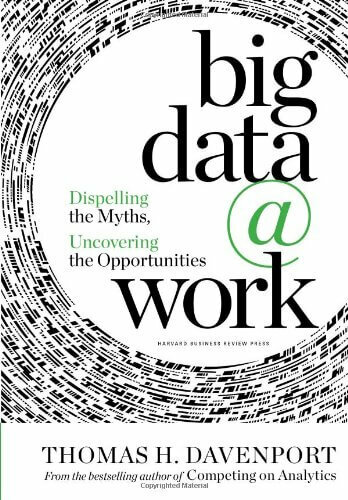 ‘Big Data at Work’ is a pleasant read, however this approachability may be a merit for some readers and a flaw for others. Critics point out that the book offers rather a breezy approach to the subject as it refrains from using technical language, thus it avoids answering some of rudimentary questions. This is a real data analytics manual that would suit readers who already have the basic knowledge of data mining and business intelligence and are looking for structural and technical instructions on how to conduct big data analytics in real world business management. 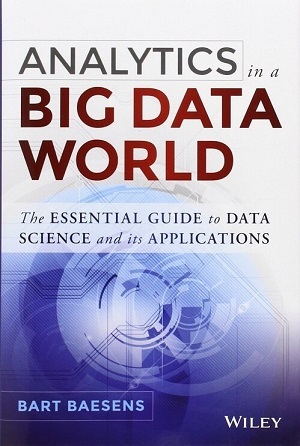 With a very strong practical focus “Analytics in a Big Data World” starts with providing the readers with the basic nomenclature, the analytics process model, and its relation to other relevant disciplines, such as statistics, machine learning, and artificial intelligence. The author then proceeds with highlighting the most important steps of the process model, such as sampling, treatment of missing values, and variable selection. The subsequent chapters focus on predictive and descriptive analytics. Additionally, numerous case studies on risk management, fraud detection, customer relationship management, and web analytics are included and described in detail. In the seventh chapter the author provides us with concrete instructions on which business analytics tools, and practices, to use to put analytics to work. Topics covered here range from back testing and benchmarking approaches to data quality issues, software tools, and model documentation practices. Designed to be an accessible resource, this essential big data book does not include an exhaustive coverage of all analytical techniques. Instead it highlights data analytics techniques that really provide added value in business environments. Many books about data analytics and big data focus on the “how” of data science – the techniques and mechanisms. “Data Science for Business” does that as well, but also goes into the “why” of data science and provides insight into some useful ways to think about data science in a business setting. The book reviews some underlying principles of data analytics, and is a great read for an aspiring data-driven decision maker who wants to intelligently participate in using big data and analytics to improve their company’s strategic and tactical choices. 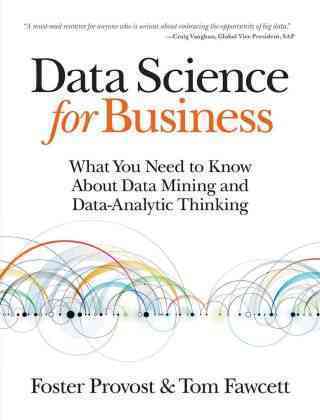 Finally, “Data Science for Business” goes into just enough detail explaining the data mining techniques used today, using plenty of scientific thinking without overwhelming the reader with numbers and equations. This is facilitated by the use of technical sections which the reader can choose to skip or devour according to their interest. For big data books geared toward the practical application of digital insights, Numsense! is one of the best on the market. Not only does this digestible guide speak to the reader in a clear, decipherable language, but it is also rich in actionable tips in areas including A/B testing, social network analysis, regression analytics, clustering, and more. 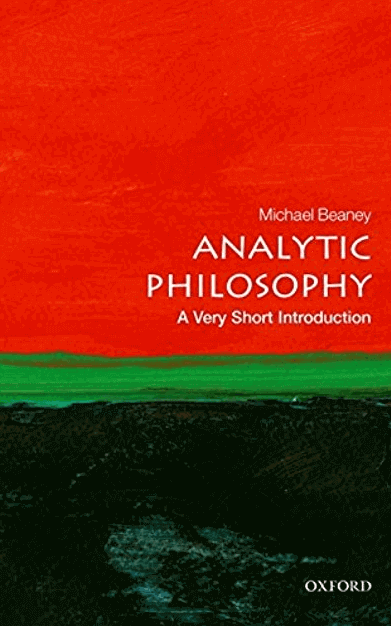 Boasting inspiring real-world examples and a comprehensive glossary of terms, this data analysis book is a must-read for anyone looking to embark on a lifelong journey toward analytical enlightenment. Growth hacking is a relatively new phenomenon, bestowing the term of using key insights, data, and digital strategies to connect with your target audience on a more meaningful, more personal level. And if executed the right way, it works. 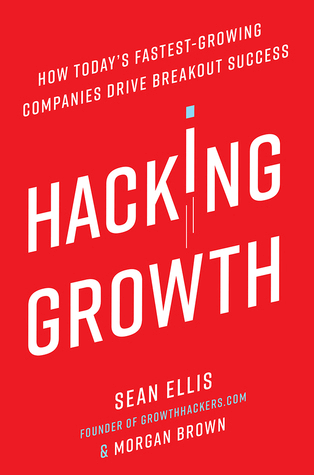 Of all the growth hacking-themed books available today, this is the most inspiring, the most understandable and ultimately, the most rewarding. Not only will you gain tangible insight into how brands like Airbnb and Pinterest became global sensations, but you’ll also gain access to a toolkit for growth hacking based on informed data-driven decisions. In today’s world, data serves to enhance the productivity, output, and efficiency of all sectors, disciplines and departments – and human resources is no exception. 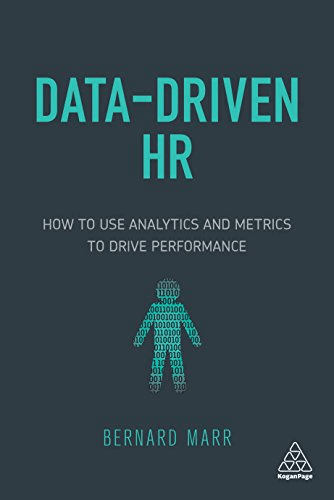 For the HR professional looking to establish detailed HR KPIs, leverage the value of digital metrics and insights to improve areas such as training & development, data protection, staff management, and organizational efficiency, this is one of the best books on digital data you could ever read. Crammed with practical insights and easy-to-follow case studies, this HR-based big data bible will serve as an invaluable reference in your quest for human resources perfection. “”Gohar Khan is a pioneer in the emerging domain of social media analytics. This latest text is a must-read for business leaders, managers, and academicians, as it provides a clear and concise understanding of business value creation through social media data from a social lens.” -Laeeq Khan, Director, Social Media Analytics Research Team, Ohio University. 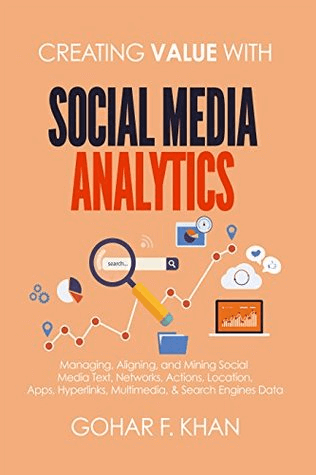 If you have a solid working grasp on the functionality of the world’s most prominent social media platforms and digital marketing KPIs, but you’d like to squeeze more value from each channel, this big data book is a must-read. Not only is the author’s knowledge on the subject vast and deeply impressive, but it is also presented in such a way that budding data scientists, digital marketers, social media executives, and business leaders can extract priceless nuggets of information with ease. By using big data analytics to refine and drive your social media strategy, you stand to set yourself apart from the competition – and this big data book will help you do just that. One of the most prolific data analysis books in existence, this insightful, informative, and refreshing work of prose serves as the ideal supplement to the more practical books and toolkits on our list. 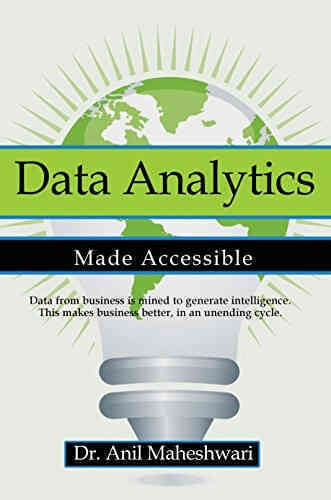 Digging deep into the very ideation of the subject and the premise behind analytic thinking, this book defines precisely why big data analytics is so valuable while offering digestible concepts that will serve as the very foundations of everything you do with the digital insights available to you. A real must-read for anyone with a thirst for big data enlightenment. Exclusive Bonus Content: Not Sure Which Data Analysis Book To Read? Download our free guide on top 15 best books on data analysis! If you found our list of the best data analytics and big data books useful, but your hunger for knowledge hasn’t been satisfied yet, take a look at our top 8 books to get you off the ground with business intelligence or our top 12 books on data visualization to keep growing in your understanding of data science. And if you’d like to put your newfound knowledge of big data analytics into practice, explore our online dashboard tool. To start a more in-depth grasp into your own data sets, you can try our online data visualization tool for free with a 14-day trial!